Could Jason Patric Be The Savior ‘Wayward Pines’ Needs? Season 2 Will Tell All!!! 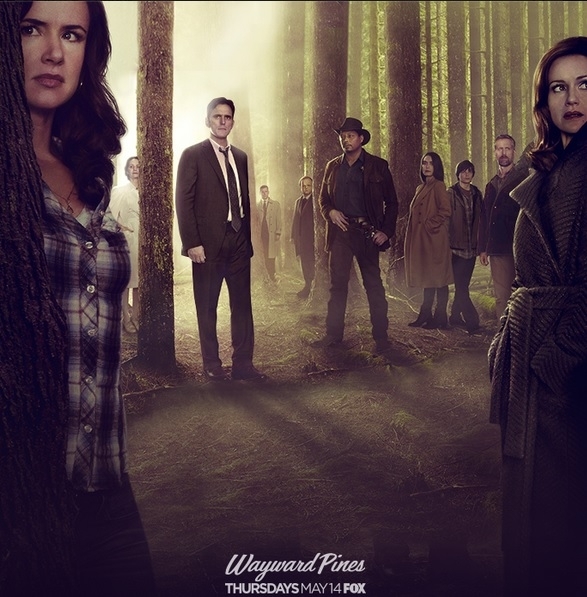 The series ‘Wayward Pines‘ was an unexpected hit for Fox, well it was unexpected from me, not the powers-that-be from Fox. A second season was an undeniably easy move and now our attentions turn to a new series lead in he form of Jason Patric. I don’t care what else he’s been in, he’ll always be from ‘Lost Boys‘ first and foremost in my head. Patric joins the cast as Dr. Theo Yedlin, a confident, driven surgeon whose leadership skills will prove invaluable to the residents of ‘Wayward Pines‘. The show comes back this summer. Blake Crouch’s bestselling series of books has provided the perfect world for these characters to explore and interact. Season 2 consists of 10 episodes and will pick up after the shocking events of the first season with the town’s residents battling the iron-fisted rule of the First Generation. Yedlin will awaken from suspended animation and find himself in the middle of this rebellion, as he tries to understand what Wayward Pines really is and help preserve the endangered human race. Fox Has Found Their Monster For ‘Frankenstein’!! This entry was posted on Friday, February 5th, 2016 at 1:30 pm	and is filed under Books, News, Television. You can follow any responses to this entry through the RSS 2.0 feed. You can skip to the end and leave a response. Pinging is currently not allowed. « Check Out The Trailer for ‘Demolition’ Starring Jake Gyllenhaal!! !